The Sapphire Defense InvisibleShield is a hybrid glass screen protector infused with sapphire to give it superior scratch resistance. 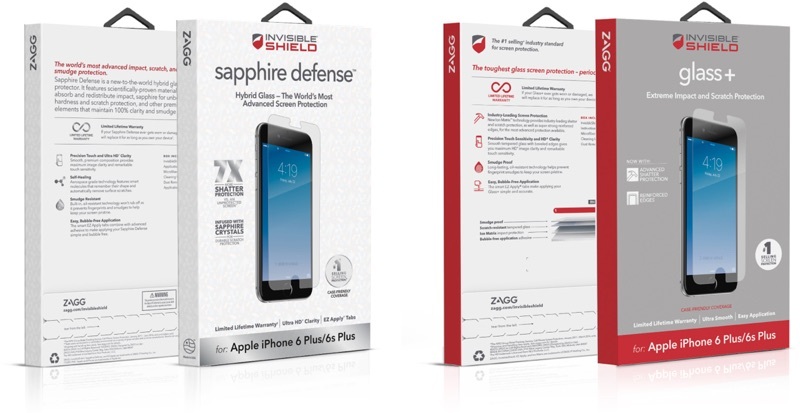 According to Zagg, the Sapphire Defense combines sapphire, glass, and traditional screen protection for a “virtually indestructible” screen protector that offers 7x better impact protection compared to an unprotected screen. The InvisibleShield Glass+ is a less expensive tempered glass screen protector which Zagg says features advanced impact protection, scratch resistance, and reinforced edges. It’s constructed from several layers to protect against scratches and it offers 2x more impact protection than an unprotected screen.